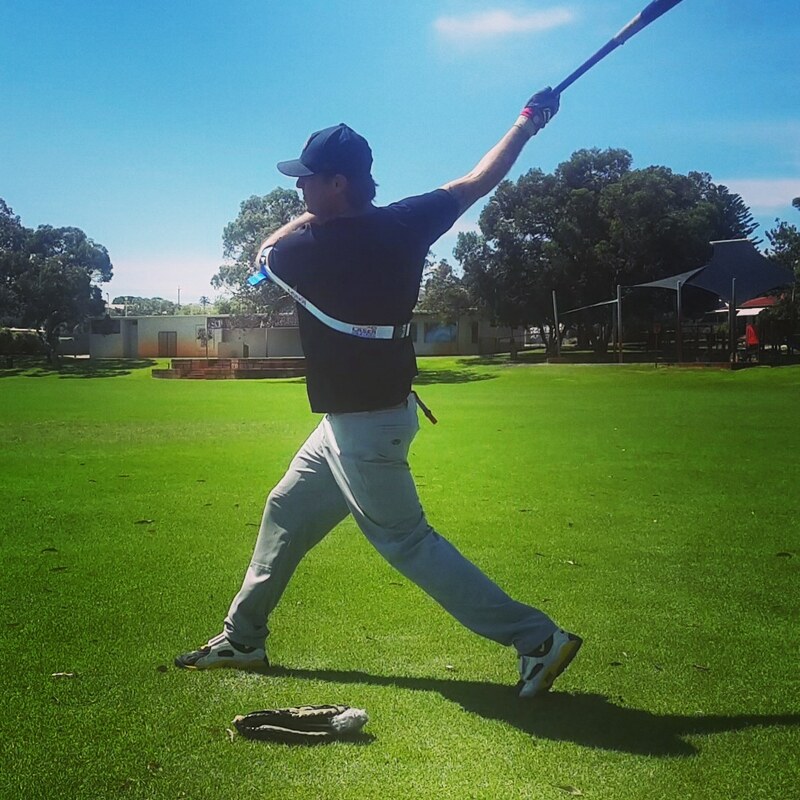 Resistance keeps your hands inside the ball for every swing, all you have to do is wear our batting aid, and hit! 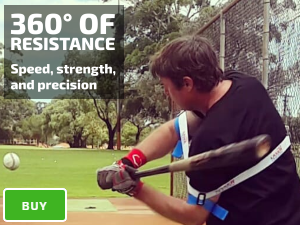 See immediate results as our globally patented hitting aid combines resistance, and acceleration to improve bat speed, strength, and hitting mechanics. 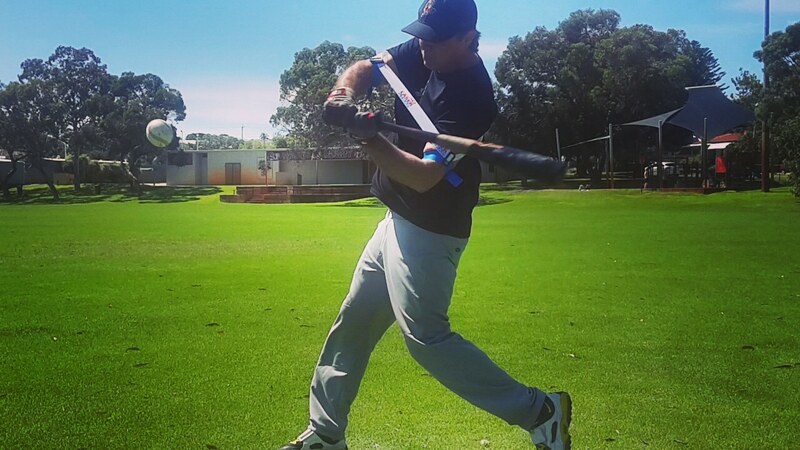 You can set your Laser Power Swing Trainer at medium resistance and swing as usual, or set a high resistance to fix hitting mistakes, coach rotational mechanics, improve fastball hitting, and advanced heavy bat training. Image: Example of the Laser Power Swing Trainer improving strength as you load, and separate; triggering bat speed to start your swing. Whether you use a high leg kick, high elbow, compact swing, youth player, or professional; you’ll gain fast results with Standard Laser Blast drills. Incorporate our Laser Power Swing Trainer into your current hitting program, or follow our free access beginner, and advanced training guides. 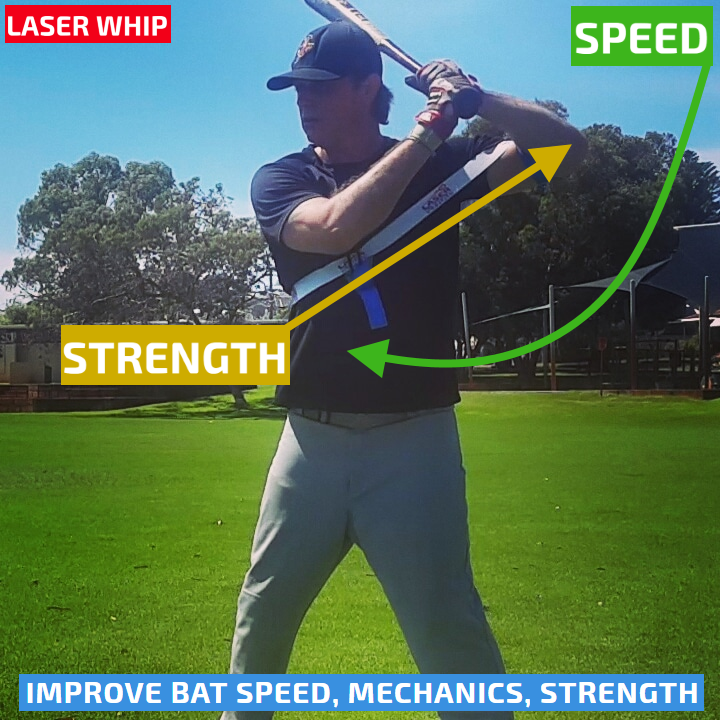 Video: Example of the Laser Power Swing Trainer set at medium resistance. Improve “see-read-and-react,” fastball, and 2-strike hitting. Grow confidence for gameday success, improve batting average, and plate discipline. 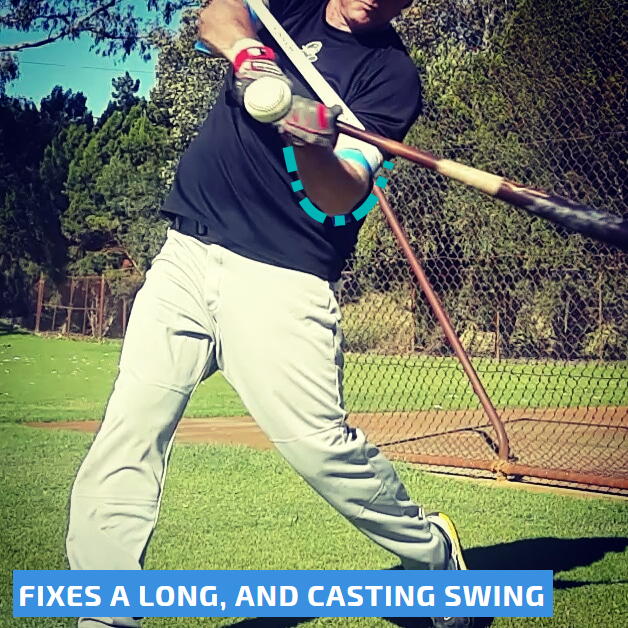 Fix a long swing, casting, lunging, and pulling off the ball. 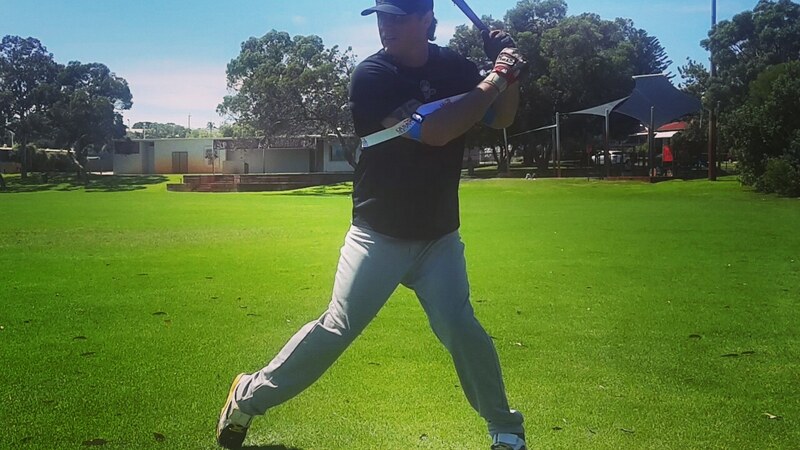 Resistance to your upper body, improves lower body, and rotational hitting mechanics. Advanced hitters can use a heavy bat, super-boosting strength, staying connected, and maintaining bat speed; even with the extra weight. 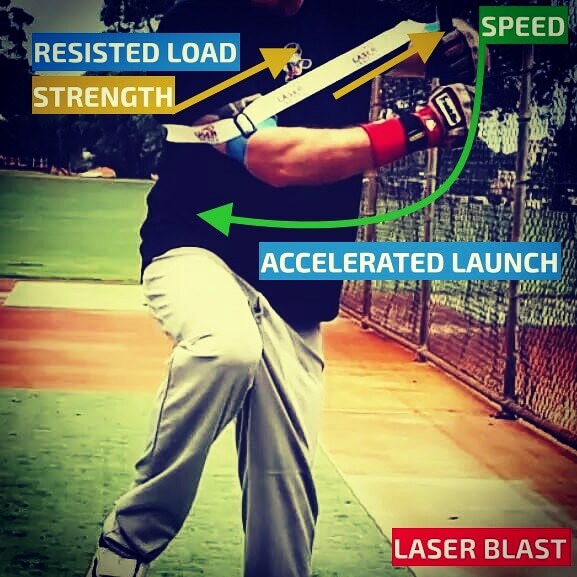 Image: Example of the Laser Power Swing Trainer set at high resistance.